What the hell with K.A.R.D. According to Hanteo: BTS - You Never Walk Alone has been sold in 350.998 copies in South Korea in its first week (actually 6 days) after releasing. Impressive! I love Spring Day video! "Not Today" is also back into US iTunes top 100 due to the video. It's currently at #97. By releasing a new version of their hit Wings album coupled with four creatively challenging new songs and a truly powerful lead single, BTS continue to conquer new territory on multiple Billboard charts with the release of You Never Walk Alone. Most notably, the K-pop boy band's new single "Spring Day" debuts at No. 15 on Billboard's Bubbling Under Hot 100 chart for the chart dated March 4, 2017. The Bubbling Under Hot 100 acts as an extension of the 25 songs that have yet to chart on the definitive Hot 100 singles chart and are just below the top 100 slots. Like the main Hot 100 chart, rankings are based on sales, radio airplay and streaming data. The feat is truly unprecedented given K-pop's history on Billboard's singles chart. While the group does not land on the Hot 100 comparing them to the groups that have puts into perspective how the impressive chart performance of "Spring Day." Wonder Girls were the first K-pop act to chart on the Hot 100 with "Nobody," a song that was a megahit when released in Korea in 2008 and eventually landed on the Hot 100 a year later thanks to the group re-recording it in English and performing it on U.S. television shows. CL also landed on the Hot 100 with "Lifted," but again this was an English song promoted on The Late Late Show With James Corden. PSY is the only K-pop act to send Korean-language songs to the Hot 100 (so far, four of them), but has been assisted by an American record deal and management. To compare: BTS' "Spring Day" is almost all in Korean, had zero promotions in America, was released new music during a notoriously competitive week with the 2017 Grammy Awards, and "Spring Day" dropped on a Sunday making their charting window smaller than other releases. The accomplishment gives hope and acts as a guiding light to the burgeoning K-pop scene and gives indication of how Korean acts can continue making their mark on the American industry. "Spring Day" sold 14,000 digital downloads in the week ending Feb. 16, according to Nielsen Music. The total puts BTS at No. 1 on World Digital Songs Sales giving the band their third No. 1 on the chart. In fact, all four new songs from You Never Walk Alone hold down the first four slots making BTS the first act on World Digital Song Sales to do so. "Day" is followed by "Not Today" (which sold 12,000), "A Supplementary Story: You'll Never Walk Alone" (8,000) and "Outro: Wings" (6,000). Looking at You Never Walk Alone as a whole -- a repackaged version of Wings that came with four new songs -- the album debuts at No. 61 on the Billboard 200 -- extending BTS' record as the K-pop act with the most entries on America's definitive albums chart to four. So far, they've bowed with The Most Beautiful Moment in Life, Part 2 (which hit No. 171), The Most Beautiful Moment In Life: Young Forever (No. 107), and Wings (No. 26). G-Dragon and BIGBANG are the only other K-pop acts to boast more than one entry on the Billboard 200. And as if they couldn't have more to celebrate, You Never Walk Alone debuts at No. 1 on World Albums giving BTS their third chart-topper on that ranking. Check back to Billboard.com the morning of Wednesday, Feb. 22 to see BTS' accomplishments when all the charts are refreshed. Could've been in the Hot 100 with a full tracking week. Bighit better pay attention to it next time instead of releasing it on some random day. ... so something positive is happening. And all of this only because devoted fans! BTS "You Never Walk Alone" has crossed 400,000 copies sold in 10 days. 1.5 million copies off the Wings series!!! Group BTS surpassed 1,490,000 copies in sales with "WINGS" series album. According to the 2017 February Album Chart released by Gaon Chart on the 9th, BTS's "WINGS Extension: You Never Walk Alone" recorded 713,063 copies in sale during the month of February, topping the monthly album chart. This is the highest monthly chart record in Gaon Chart's history. That's not all. Their second full album "WINGS" which released last October recorded 783,923 copies in accumulated sales. This meant BTS sold 1,496,986 copies in total sales with their "WINGS" series and the group ascended as the top album king of South Korea, both in name and reality. Previously, BTS's "You Never Walk Alone" surpassed 700,000 copies in pre-order and captured our attention by selling over 370,000 copies in the first week after the release. I wonder how the EP did in the USA :S ? Number one in 39 countries. Insane! The previous records were PSY (33) and BTS (27). Wonder if he can block Katy in the US tomorrow. BLACKPINK’s latest title track "AS IF IT'S YOUR LAST" has debuted on Billboard Canada’s Hot 100 chart at #45. Why can't K-Pop acts release on Friday? BLACKPINK could've entered the Hot 100 if they had released on Friday. The song reached #12 on US iTunes during the first 24 hours urgh I am annoyed. I mean I know that their focus is the Korean market but it's still annoying. EXO has done better than they ever have before on Billboard’s top album chart with their latest release! 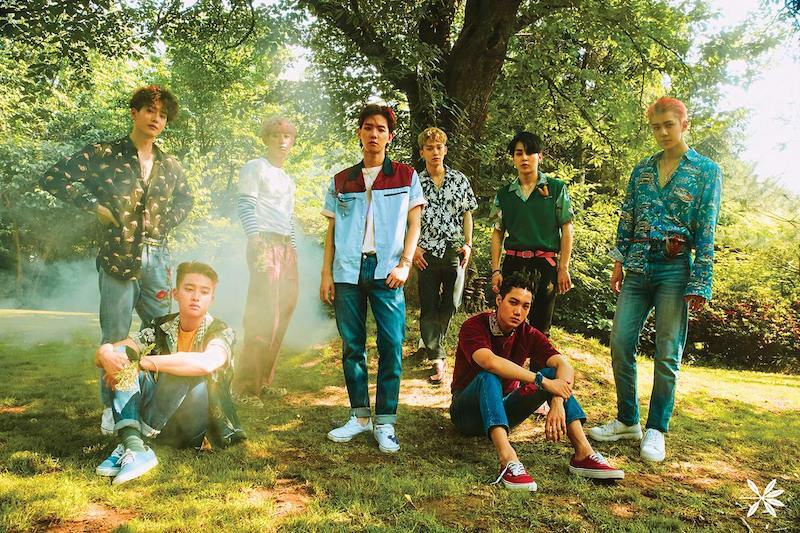 According to Nielsen Music, EXO’s “The War” earned 7,000 equivalent album units during the week ending in July 20, following the album’s release on July 18. Traditional album sales accounted for 5,000 units. This ranking of No. 87 is the highest that EXO has ever achieved, with their 2015 album “Exodus” previously coming in at No. 95 on the Billboard 200. EXO’s “The War” is also No. 1 on Billboard’s newly released World Albums chart. In addition, three of the songs from their new album have taken spots on the World Digital Song Sales chart, with “Ko Ko Bop” at No. 2, “The Eve” at No. 8, and “Forever” at No. 24. EXO's new album shipped +800k in the first week (Gaon), which I think it's a record of some sorts. Btw the best selling track of the year so far it's Ailee's I Will Go To You Like The First Snow, +1,8M in 7 months (so far) and still selling +30k a week. Oh and the Goblin OST (this track is in it) sold 15M (downloads) in China, they're pretty cheap, but I guess they do count. ^Do you have the list for the best selling singles on Gaon of 2017 so far? I'm curious to see how's Winner's "Really Really" doing. I heard the song was/is huge in South Korea. Number one in 22 countries I'm impressed. #1 on iTunes worldwide as well!